Variable frequency drives (VFDs) are used to control electric motor speed, delivering only what power your farm needs to function at the ideal efficiency. VFDs have been proven to save money and increase the reliability of your pumps, fans, and conveyors among other things. You know that water conservation is important, but what about power conservation? Michigan Valley Irrigation is proud to offer our Nationally Recognized experts for your variable frequency drives (VFD) needs. Allow us to help make your motors run more efficiently and reliably. Running your pump on a diesel engine? 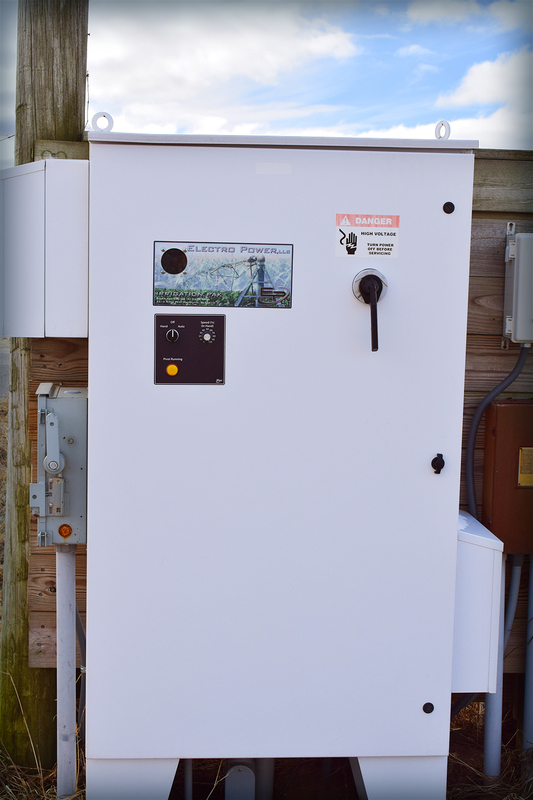 VFD's have allowed hundreds of pumps to now run on single phase power, saving thousands a year on fuel costs!